Nintendo is set to introduce a brand new portable gaming system in Japan later this month called the Game Boy. This marks the first new hardware introduction in Japan from the gaming giant since the Famicom Disk System in 1986 and the original Famicom in 1983 (the Japanese version of the NES). Nintendo is no stranger to the portable video game scene. In the early ‘80s they introduced a series of handheld devices called Game & Watch. These early machines utilized a basic LCD screen to showcase rudimentary graphics and featured basic gameplay. With Game Boy Nintendo hopes to blow the lid off the market with more complex games using better technology to entice parents to shell out the roughly $100 for the new machine. So what makes Game Boy so different from existing handheld gaming devices that are currently on the market from the likes of Tiger Electronics? Quite a lot, it turns out! First up, the Game Boy takes its cues from the amazingly successful NES. It features the same control pad, action buttons (B & A) and the Select and Start keys. This layout will be instantly recognizable to anyone who has been bitten by the Nintendo bug. The biggest game changer (pardon the pun) comes with the ability to purchase small game cartridges for the device. Current handhelds require parents or kids to buy the piece of plastic to only play one game. If they want a new game, they have to buy an entirely new toy. Not so with the Game Boy! Just like the NES you’ll be able to buy a multitude of game cartridges at the store so the library will constantly grow. These tiny carts are easy to pack up and take with you on the go! The other big difference is the quality of the LCD screen. 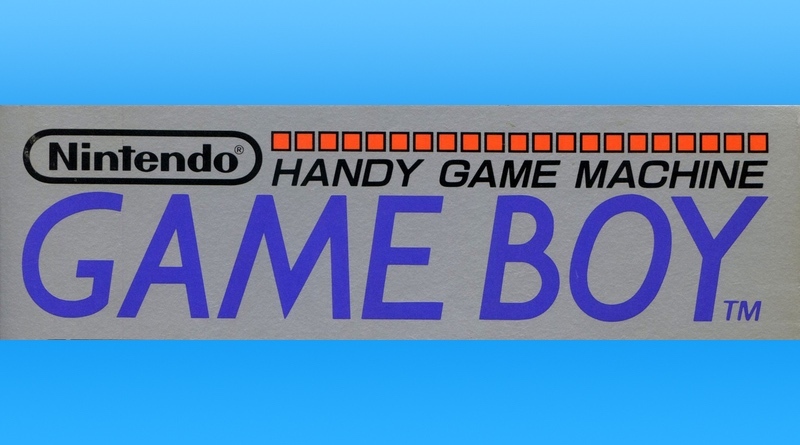 Unlike most portable gaming machines that feature stick figures and limited animations on the characters, the Game Boy promises to bring console-like graphics to the portable sector. This means it will be possible to play a game like Super Mario Bros., where the levels scroll by and the scenery changes. Of course some concessions had to made for the tiny system, so there isn’t a color screen. The LCD technology displays up to four shades of monochrome with sort of a green tint to the graphics. There is a contrast adjustment knob that should make it easier to view the screen in different lighting. The screen size is said to be about 1.7” x 1.85” It’s a big upgrade over current handheld technology, but it’s a far cry from home consoles with rich color displays. Still, Nintendo is betting on the gameplay and portable nature of the device to catch on. Another innovative feature is the built-in headphone jack, which allows for stereo sound. Parents won’t be forced to listen to the beeps and boops coming from the system while on a long car trip, which is sure to be a selling point in and of itself. The system runs off of four AA batteries for about 15 hours of playtime. The Game Boy also has a communications port on the side of the system. This allows two players to hook up their Game Boy systems together with a Link Cable to play some games together. Early games like Tennis will support this accessory, but keep in mind it will require two portable systems, two copies of the game, and the link cable for it all to work. This is possibly the most exciting part of the system because unlike the NES where playing a game of tennis always gives the closer player the advantage thanks to the viewpoint, here each player can have a behind the shoulder view to make the competition fair. We imagine this could be used in some unique and fun ways with future games. The Game Boy is releasing on April 21, 1989 in Japan for around 12,500 yen or roughly $100 U.S. and will come packed with headphones and batteries. Optional accessories will be offered, including a portable battery pack that can plug into an outlet and charge up for even more battery life and an AC adapter to use while at home. The system is launching with four games: Alleyway, Baseball, Super Mario Land, and Yakuman. Both Tennis and Tetris have been announced as coming out later this spring. We’re being told that Alleyway is sort of a Breakout or Arkanoid clone where you must break bricks with a ball. Apparently Super Mario Land is a completely original Mario game that has more in common with the first game on the NES than its sequel. Baseball is easy enough to figure out, but you may be wondering what Yakuman is. It appears that it’s a Majhong tile puzzle game. The cost of the games will be around 2600 yen, or $20. Third party licensees like Konami and Data East are said to be onboard, but no word on what games they may be working on for the system. Of course, all of our readers are no doubt wondering if and when the Game Boy portable gaming system might be coming to our shores. Nintendo of America isn’t ready to announce anything just yet, but we’ve heard rumblings that there are plans to showcase the new handheld at the Summer CES in June. That means we could see it arrive in time for the holidays! We’ll keep you posted.